Thermosiphon solar systems Atmosfera® | Atmosfera™. Альтернативные источники энергии. Солнце. Ветер. Вода. Земля. Your phone has been successfully sent. 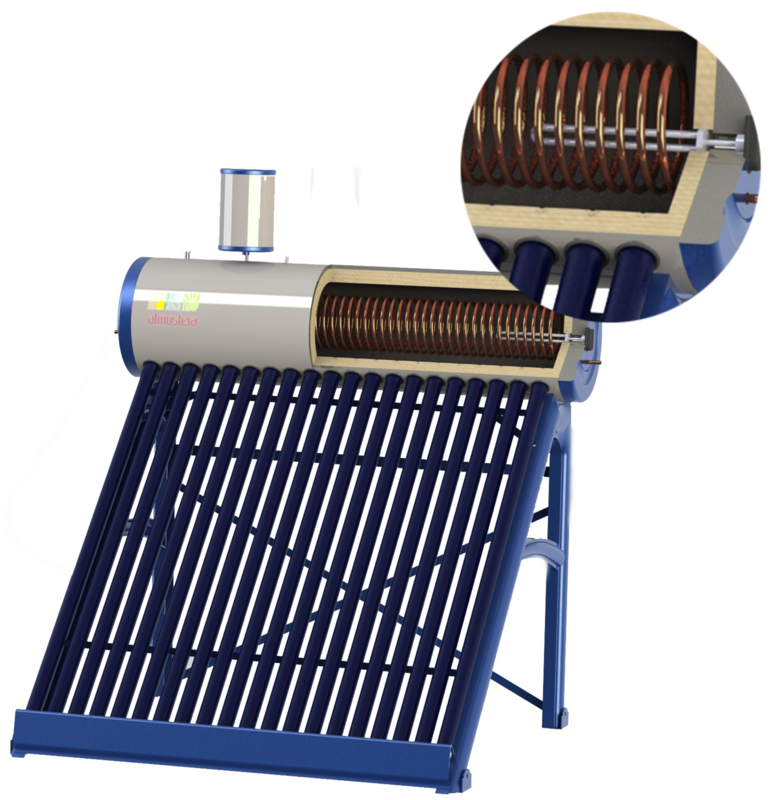 Thermosiphon solar systems ATMOSFERA is the simplest and the most affordable type of vacuum solar water heaters. It is very efficient for HWS in summer period. They are used for hot water supply to summer houses, cottages to satisfy domestic and technical needs. 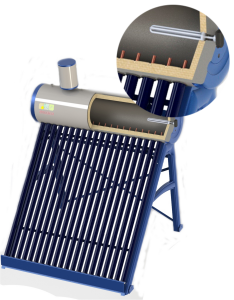 Such solar systems operate as thermosiphon, which means that heat is conducted without a pipe and control system due to natural convection. Free-flow system RNB-SS with a stainless steel container. In this system heat is conducted due to natural convection, which makes the system price-affordable, easily assembled and maintainable. Key features of systems of this type are their low cost, wide range and the possibility of mechanical and electronic filling. 3 years warranty. Free-flow system RNB- Enamel with an enameled steel container with an extended service life. 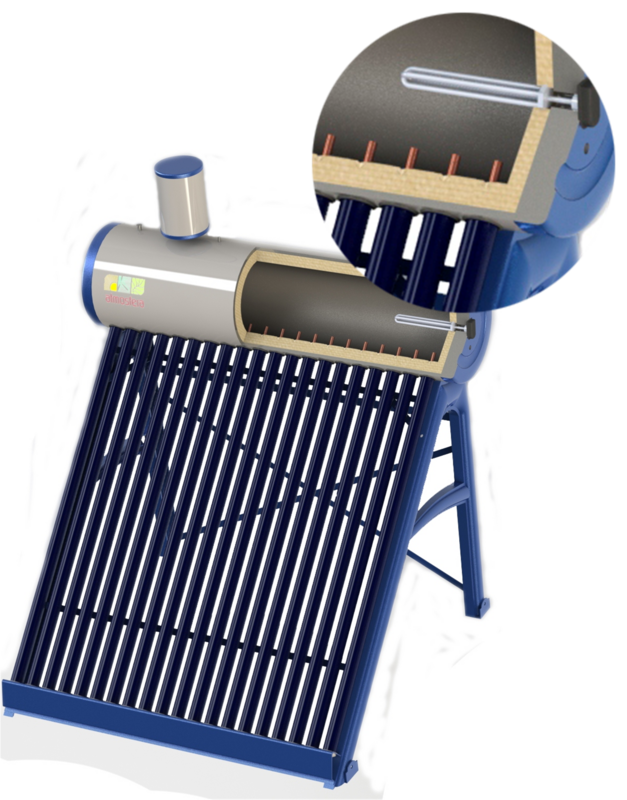 In this system heat is conducted due to natural convection, which makes the system price-affordable, easily assembled and maintainable. 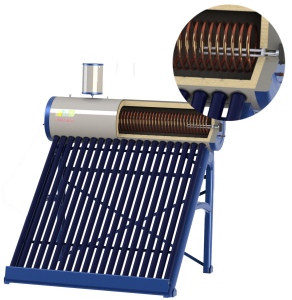 It is ideal option for seasonal generation of heat in conditions of hard water use. 5 years warranty. In the pressurized system RPA- Heat exchange water is heated at water flow through copper heat exchanger in the container. Water flow pipe network is fully leakproof and capable of functioning under pressure. Owing to this the thermosiphon system can be easily integrated into the centralized hot and cold water supply system, its reliability is increased and high level of comfort is ensured. In the pressurized system RPB-Heatpipe water is heated through Heat Pipes. This system is fully leakproof and capable of functioning under pressure. As compared with RPA-Heat exchange, it has no flow rate limits, which is important at peak loads in the consumer’ system. 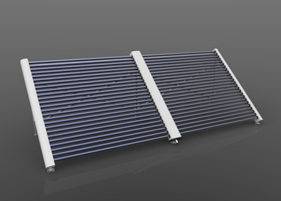 No heat exchanger maintains higher temperature at the output and ensures more efficient water heating. This thermosiphon system can be easily integrated into the centralized hot and cold water supply system, its reliability is increased and high level of comfort is ensured. 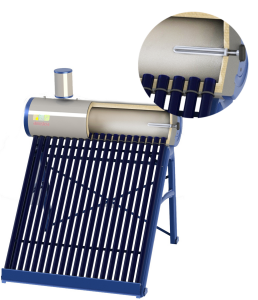 Solar collectors of this type are designed mainly for seasonal water heating in swimming pools, stand-alone containers and storage tanks. Affordable price for SVK-Octagon collectors makes thus model very popular. Collectors of this type with 25 and 50 vacuum tubes are available. Key features of collector of this type are easy connection, easy assembling and reasonable price.